And the winner of one of your choice of three Vera Neumann scarves is . . . . . . Insert Drum roll . . . . . . Scott Lindberg! Congratulations, Scott, and thanks for participating and supporting The Vintage Laundry! Today we move on to day four of The Vintage Laundry Holiday Bizarre Five-day Gift Giveaway! And just as before, all you have to do is "like" this post on our Facebook page and you're entered to win the item! Today's item is a piece of hotel silver. 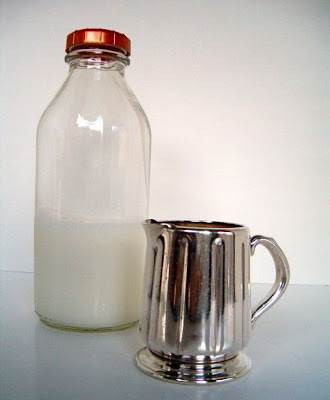 It's a cream pitcher with that lovely patina that only hotel silver has. It would make for a great starter piece to begin a hotel silver collection or perfect for that silver aficionado on your Christmas list! Don't for get to get your tickets for tonight's Preview Party here and register for discounts for the free days at The Vintage Laundry Open House this Saturday and Sunday, Dec. 10th and 11th here! 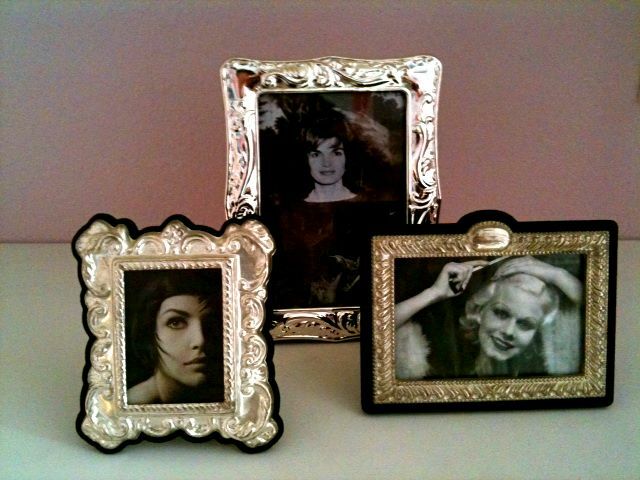 And the winner of the set of 3 silver plated frames is . . . . . . Insert Drum roll . . . . . . Bettielou Lane! Congratulations, Bettielou, and thanks for participating and supporting The Vintage Laundry! 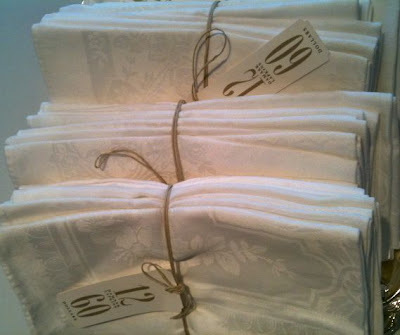 So, we move on to three of The Vintage Laundry Holiday Bizarre Five-day Gift Giveaway! And just as before, all you have to do is "like" this post on our Facebook page and you're entered to win the item! 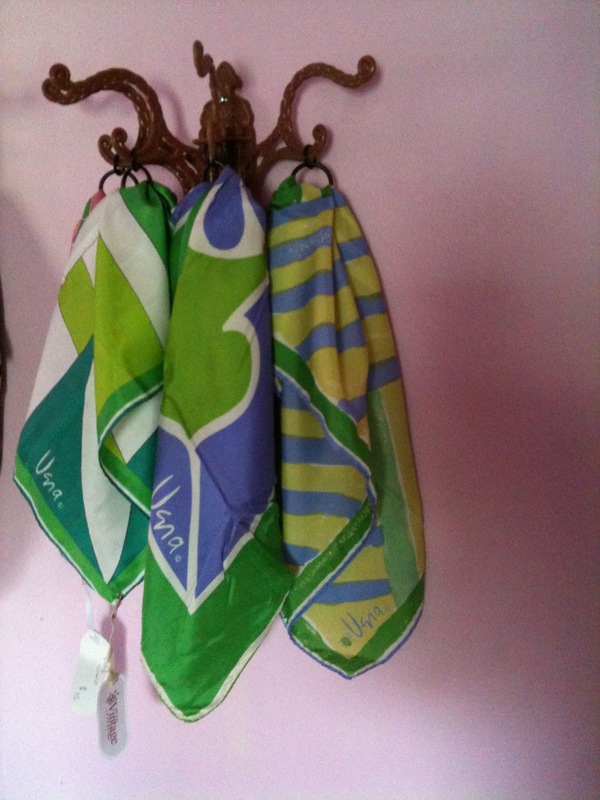 Today's item is your choice of one of these three signed Vera scarves. Vera Neumann was an American textile artist and entrepreneur best known for her boldly colored linen patterns and scarves signed simply with her name "Vera." They are all marvelously vibrant and happy- perfect to give as a gift or to add to your own personal arsenal of winter accessories! 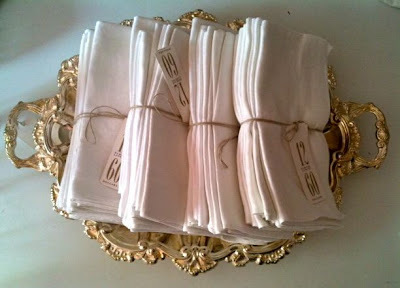 And the winner of the set of 12 vintage napkins is . . . . . . Insert Drum roll . . . . . . JoAnn Jackson Garnto! Congratulations, JoAnna, and thanks for participating! So, we move on to day two of The Vintage Laundry Holiday Bizarre Five-day Gift Giveaway! And just as before, all you have to do is "like" this post on our Facebook page and you're entered to win the item! Today's item is a set of three petite silver-plated frames. The set is a mixture of different designs and sizes. They are all polished and styled with a black and white photo within - perfect to give as a gift or use to display your babies, grandbabies, nieces, nephews . . . . .Well, you get the picture . . . . get it? PICTURE - yeah, I sleigh me . . . get it? . . . I typed SLEIGH, instead of SLAY . . . . . cuz, it's Christmas time . . . and there's Santa . . . .OK, enough! WOW! This video is breathtaking and as my friend Victoria over at SFgirlbybay says, ". . it is pretty magical." 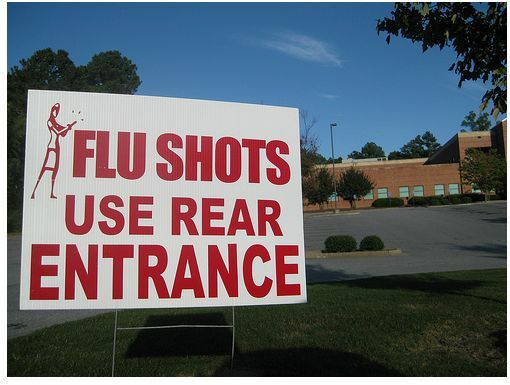 This has made the rounds on the internet so, you may have seen it already. But, if you haven't, you've got to take a look!